Spoon & Knife - Page 2 of 6 - Christine & Mike, photographer & cook, creating gluten-free, low-carb, keto and paleo food - together! Spoon & Knife - Page 2 of 6 - Christine & Mike, photographer & cook, creating gluten-free, low-carb, keto and paleo food - together! Hi. My name’s Mike. I love to cook, but I can’t grill. Whew. Yes, it’s true; I’ve grown far more comfortable in front of an oven and the burners of a cooktop than I am standing over a grill. Through years of practice, I get how they work – how to manage heat, timing, and ingredients to (much more often than not – nobody’s perfect) create the food I have in mind. Grills? That’s a whole different story. I seemed to need triple the charcoal I should have in order to build a fire with any heat, and no matter how I tried, any meat I cooked was cooked through to well-done far sooner than I got any appreciable sear. Grill marks? Forget about it. However, all this is beginning to change. We met the marketing team behind STOK Grills at the recent Dad 2.0 Summit in San Francisco, and things started to click for me. A gas grill with substantial burners that should be able to generate significant heat. An insert system to swap out grill grates for other platforms like a griddle, vegetable tray, pizza stone, or cast iron pot – and inserts that felt more substantial than gimmicky. Maybe this could help cure me. We’re happy now to kick off something new for Spoon & Knife – a series of posts sponsored by STOK Grills. 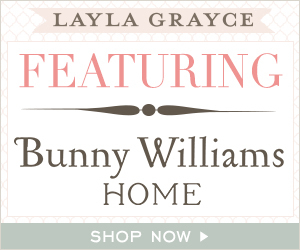 We’ve partnered with them to see what I can come up with using their products. I’ve been getting to know the grill over the last couple of weeks, testing out recipes and techniques, trying to bring the Spoon & Knife meatatarian style outdoors. 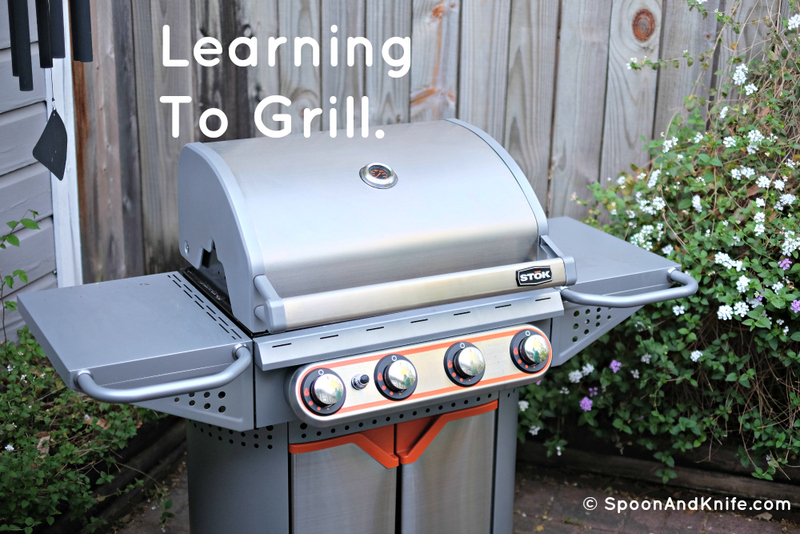 Before getting to the food posts, a few words about the grill itself. I’m using the STOK Quattro, a four burner model with two insert slots – basically, their largest gas grill. Assembly was straightforward enough, although more involved than I expected. Having never owned a gas grill, somehow in my head this amounted to “drive to your nearest hardware store, pick out a grill, put it in your truck, and go home and cook”. Instead, the delivery folks showed up with a large, quite heavy box on the front doorstep. I ended up unboxing in the front room of the house and carrying the grill parts out to the back patio one-at-a-time. Whoever did the packaging for this grill should win awards; well protected, many grill parts were sized exactly to fit inside each other, like some sort of culinary matryoshka. With a bit of work, though, I had a new grill ready to go in the side yard. Overall, I’m impressed – it heats quickly, has the oomph to sear and leave grill marks, and is pretty easy to clean up. I haven’t owned other gas grills for comparison, but it’s a good size and sturdy enough for what I’ve thrown at it so far. I had the pleasure of being a guest on the Life of Dad Aftershow (episode 85), hosted by two great guys, Ryan Hamilton and Art Eddy, who Christine and I have gotten to know through a network of dad bloggers. One of the most rewarding things to me about learning to cook and sharing our ideas and techniques here is being able to feed family and friends. I mentioned in the show that there’s something I’ve come to realize: I like to eat, I love to cook, but I’m my best person when I’m feeding people. My goal here with Spoon & Knife has never been to show off cooking skills (plenty of people cook better than me!) but to educate and encourage people to get into the kitchen and cook, for themselves and for the people around them. Thanks to Ryan and Art for giving me the chance to talk about this mission. It was also a test for me to try something other than writing. I feel I’m better in dialogue and conversation than I am forcing my ideas into written pieces with start, middle, and end. Christine and I have talked about this and toyed with the notion of other formats and media; I appreciate the guys for being my first crack at podcasting. Go check out their site and network, have a listen to the show (and many others in their archives! ), and leave them some love. They’re doing good work encouraging involved dads everywhere.